Osterloh: "We have the huge benefit of the baby boomer age groups. That's why we can also say the jobs of VW workers are safe." BERLIN -- Volkswagen's works council chief said the company could cut up to 25,000 staff over the next decade as older workers retire to help the carmaker achieve cost-cuts needed to revive the VW brand. 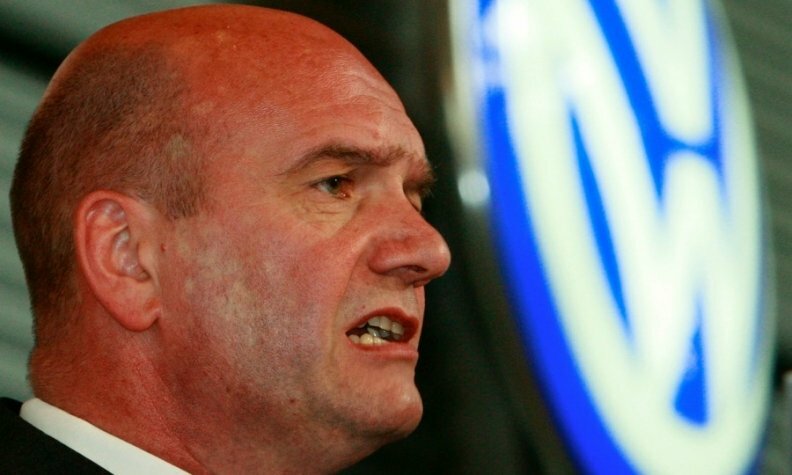 VW's top executives have been in talks with works council leaders representing staff since June in an attempt to agree cost savings to fund the carmaker's shift to electric vehicles after its diesel emissions scandal. VW is under pressure to make cuts at high-cost operations in Germany to fund this transformation, while still grappling with billions in costs for its emissions scandal. Waiting for staff to retire is a more attractive option for VW workers than actual layoffs. "We have the huge benefit of the baby boomer age groups," VW labor boss Bernd Osterloh told Handelsblatt today in remarks confirmed by the works council. "That's why we can also say the jobs of VW workers are safe." VW has said tens of thousands of staff from the 1950s and 1960s baby boomer generation will come up for retirement in coming years. VW declined to comment on Osterloh's 25,000 target, which would represent about a fifth of the company's workforce in Germany. Analysts said the cost savings from staff cuts of up to 25,000 would be a solid start, but must be accompanied by a reduction in purchasing costs and r&d spending to ensure a turnaround of the carmaker's operations. "VW has no choice but to bring down costs massively if it wants to put its business on a sound footing," Evercore ISI analyst Arndt Ellinghorst said. VW must achieve cost savings of about 22 billion euros ($24.64 billion) globally in coming years, three quarters of which must be invested in its transformation, said Ellinghorst. Ellinghorst also said VW could reap up to 2.5 billion euros by moving workers into early retirement, a "massive" gain for the VW brand which may only make operating profit of about 2 billion euros in 2016 after 2.1 billion in 2015. There appears to be common ground on opting for retirement to cut staff, two sources at VW familiar with the talks said today, but VW management and the workers were at odds over other issues. Management wants to trim back white-collar staff which account for about two thirds of Wolfsburg's 60,000 jobs including administration, r&d, sales and marketing, one of the sources said. But workers are angry about management attempts to outsource services such as plant security, IT support and catering at a division in Wolfsburg, they said. Workers also oppose moves to scrap a longstanding practice of allowing foremen to switch to higher-paid non-production jobs, the sources said. Osterloh is seeking to raise pressure on management. He has invited workers and executives to a special staff conference on Oct. 20 in Wolfsburg to brief the rank and file on the talks, which are due to be concluded in November.